Jenna Dewan Tatum and her BFF Emmanuelle Chriqui share a cute moment on the carpet at the 2018 Vanity Fair Oscar Party at the Wallis Annenberg Center for the Performing Arts on Sunday night (March 4) in Beverly Hills, Calif. 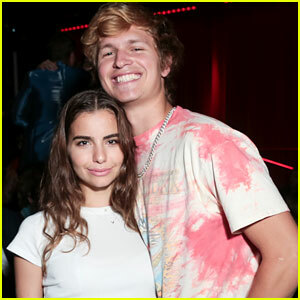 Some of the other stars who were at the event included Station 19‘s Jaina Lee Ortiz, Orange Is the New Black‘s Jackie Cruz, Scream Queens‘ Nasim Pedrad, and Spanish actress Paz Vega. FYI: Jenna is wearing a Pamella Roland gown, Casadei shoes, and Lorraine Schwartz jewelry. Paz is wearing an Elie Saab Haute Couture gown. Jackie is wearing a Tony Ward Couture dress, Borgioni jewels, Gismondi 1754 rings, and Stuart Weitzman shoes. Neil Patrick Harris, David Burtka, Jane Krakowski & More Celebrate at Dorado Beach in Puerto Rico! 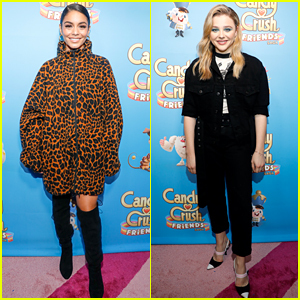 Vanessa Hudgens & Chloe Moretz Play Candy Crush on a 26-Story NYC Building! Nikki Reed & Halston Sage Are Having Fashion Week Fun! Malin Akerman, Jennifer Nettles, & Brittany Snow Check Out New Fashion During NYFW! Irina Shayk Opens Philipp Plein NYFW Show with a Robot! 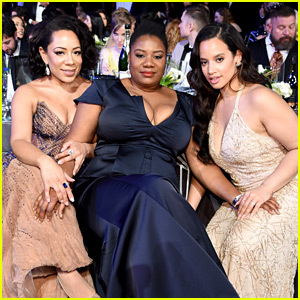 Dascha Polanco, Selenis Leyva, & More 'Orange' Cast Members Attend SAG Awards 2018!